I don't have it much in me to write a long post about the books I've read this year. I don't keep track of when exactly I finish all the books, but I know that I went through some lengthy "dry spells" this year...periods when I didn't read anything beyond my Facebook feed or an Entertainment Weekly magazine…here's my list for 2013. I can't even imagine tomorrow, but I know that the sun will rise and set and I know that I will eventually pick up another book to read. Previous book lists are over in the sidebar <--- of my blog. Usually I keep my list on my blog but this year I did a terrible job of updating it and started using GoodReads to keep track of what I've read. So feel free to follow me over there. I'm hoping to read some of the "best of 2013" in the first month of 2014. What did you read in 2013 that you liked best? Jacob prepares to reunite with his brother Esau and in the night he wrestles with a being. 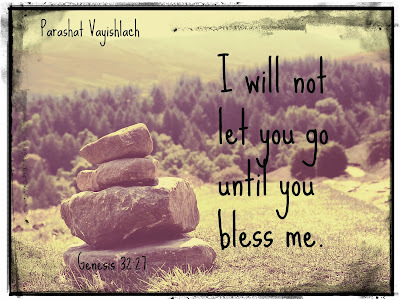 Eventually, he prevails and says, "I will not let you go until you bless me." In the course of the blessing, Jacob is also given a new name, the name Israel. 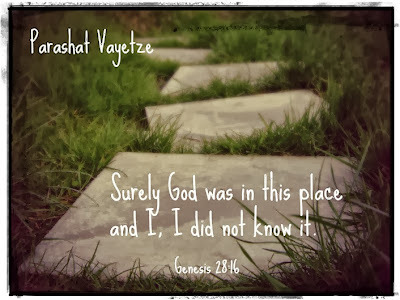 In this week's Torah portion, Jacob dreams of a ladder stretching from the ground into the heavens. He sees angels on the ladder, going both up and down. When he awakens from his dream, he says, "surely God was in this place and I, I did not know it." So often, as parents, we get bogged down in the details. Where do the kids have to be? What did they eat for lunch? What brand of diapers should I buy? Do you have a clean gym uniform for tomorrow morning? Parenting can be a series of lists and mountains of laundry. The day to day can overwhelm. And yet each moment can have a spark of the Divine in it. Each moment holds a potential for holiness. It's hard to find, don't get me wrong. When the kitchen floor is sticky and there isn't any milk left and "he's poking me!" and….where's the holiness in that? But I know it's there. Surely God is in this place. How do I remember that? How do I seek it out and remind myself? Is it a note on the dashboard or a post-it on the coffee maker….whatever it takes to help me remember that yes, indeed, God is in this place. I might not have noticed it. I might be so bleary-eyed from yet another night in which the 3-year-old wanted a drink of water at 3am and lost his blankie at 5am….but if I prop my eyelids up, I can find the holy in the way his little body snuggles under the blanket or how his fingers grasp the cup. It's hard. Sometimes it seems nearly impossible to find the holy on the day when there are two kids throwing up and another one who has a science project to do….but if I just take one little breath, one little moment in each crazy-busy-overwhelming day….I can say it: surely God is in this place and I, I did not know it. Esau and Jacob are the twin sons of Isaac and Rebecca. Esau, the elder, is mostly interested in hunting and being outdoors. Jacob is more reserved and home-focused. Esau doesn't seem to care much for the "birthright" that is owed to him, and he sells it to Jacob for the low price of a bowl of red lentil stew. 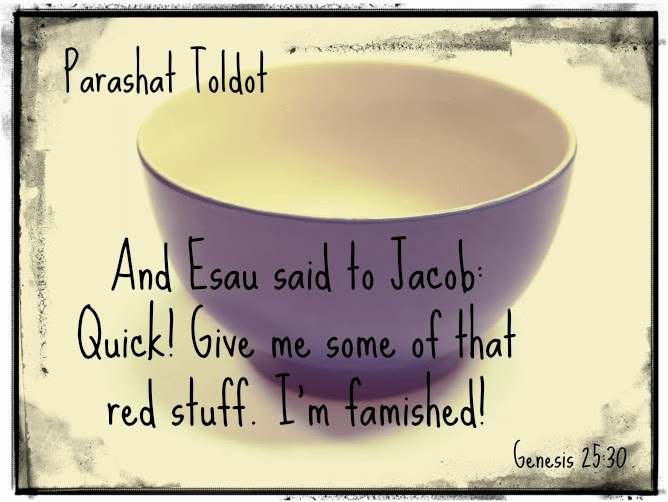 The text tells us that when Esau comes in from the fields, he sees Jacob cooking. He is famished, hungry, starving. "Quick!" he says. "Give me some of that red stuff." He is too hungry to care what it is, too desperate for food to be polite. He demands instant gratification, instant satiation for his basic human need. My young children are so similar. When they want something, they want it NOW. When they decide that it has to happen, it must be immediate. 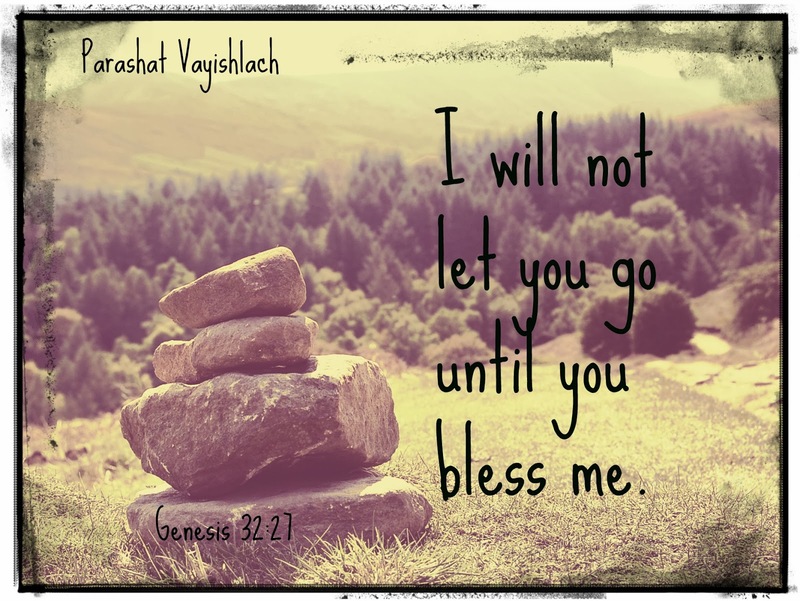 Jacob uses this opportunity to his advantage, to negotiate with Esau for the birthright. We as parents can use this need for immediate satisfaction too. We can take the moment to remind them that, thankfully, they actually aren't starving. Thankfully, if it doesn't happen now, it's going to be okay. We help them to breathe, to consider, to think, to say please and to wait, even just a few moments, to fully understand that instant gratification may not be necessary. The thrill of waiting, of anticipation, of working hard to accomplish and earn something...this is part of our job as parents and teachers. Esau's need to be fed "right now" cost him his birthright. For our children, we hope that they will learn patience and persistence, steadfastness and determination. 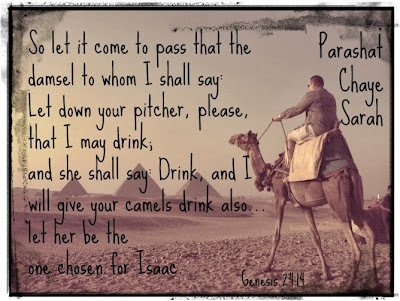 Eliezer, Abraham's oldest servant, is sent to find a wife for Isaac, Abraham's son. Abraham doesn't give him a lot of criteria, so Eliezer must determine on his own what qualities are worthy in Isaac's wife. He determines for himself that, upon his arrival at the communal well, he will ask a young woman to draw water for him. Whichever young woman not only agrees but also offers to draw water for his camels will be the right one to approach on Isaac's behalf. Eliezer realizes that the "right" person for Isaac is one who is not only kind to strangers but goes above and beyond on their behalf. (It's a lot of work to draw enough water for camels!) Eliezer holds onto the ideals that we, as parents, hope for all of our children's relationships. We hope that they will choose friends and companions who are willing to go the extra mile, who are considerate and kind, who share goodness and bring our children up, not down. And of course, we also read this story and imagine the other side -- if it were our children being tested at the well, would they rise to the occasion? If my son or daughter were asked by a stranger for water, I sincerely hope that they would say, "of course. And how about some for your camels?" On its face, this is a story about finding a partner for Isaac. But deep inside, it is about the kind of people that we want our children to be, it is the kind of story about the kind of friends we want our children to be and the kind of people with whom we want to surround ourselves. Ah, what a way to begin parenthood, with laughter. Tradition tells that Sarah and Abraham struggled with infertility, and we know how difficult the entrance into parenthood can be for so many of us. But to begin with laughter? 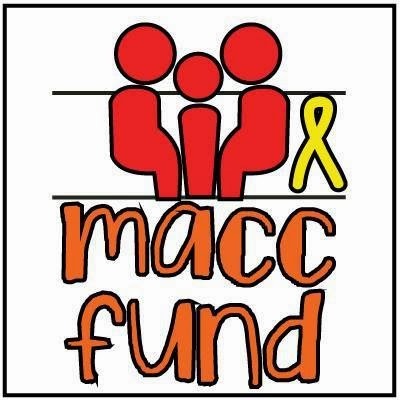 To lead with humor…to be able to find the funny side, the joke, the laugh-til-you-cry of it all….truly is a gift. 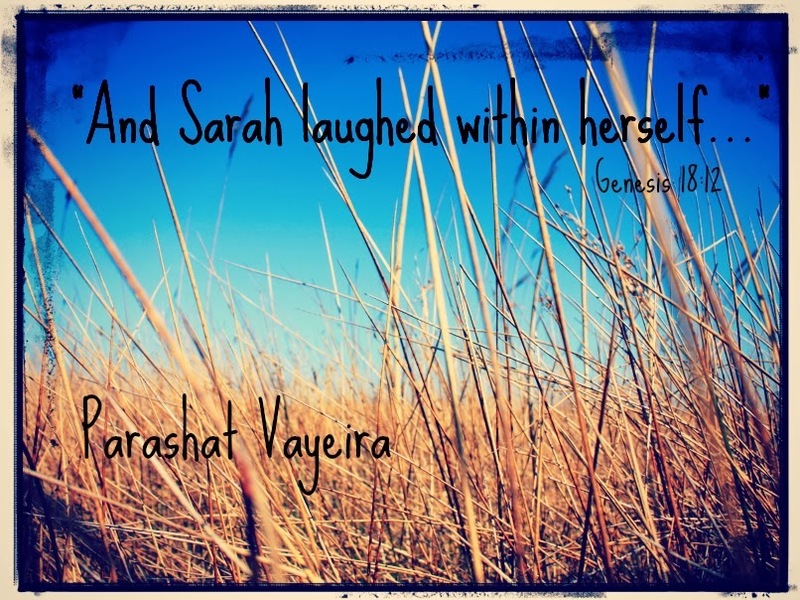 I like to imagine Abraham and Sarah as carrying that laughter through their lives, holding onto the joy that Isaac brought to them and lifting that up. We know that their lives weren’t perfect, and of course we know that there were struggles. But I do like to imagine that Sarah’s laughter carried them through some of it, that her ability to find even God’s words just a little bit funny helped her to use her biting wit to help her cope with some of the difficulty of her life. Sometimes you just gotta laugh…. Tonight begins the holiday of Simchat Torah, when we celebrate the cycle of the Torah reading. We finish the last words of Deuteronomy and begin again with the first words of Genesis. The last letter of the torah, lamed, and the first letter of the Torah, bet, together spell the Hebrew word "lev," which means "heart." The Torah is the heart of the Jewish people, it is the heart of who and what we are. And we, its adherents, are truly the heart of the Torah. It lives because we continue to read and learn and study and live by its teachings. 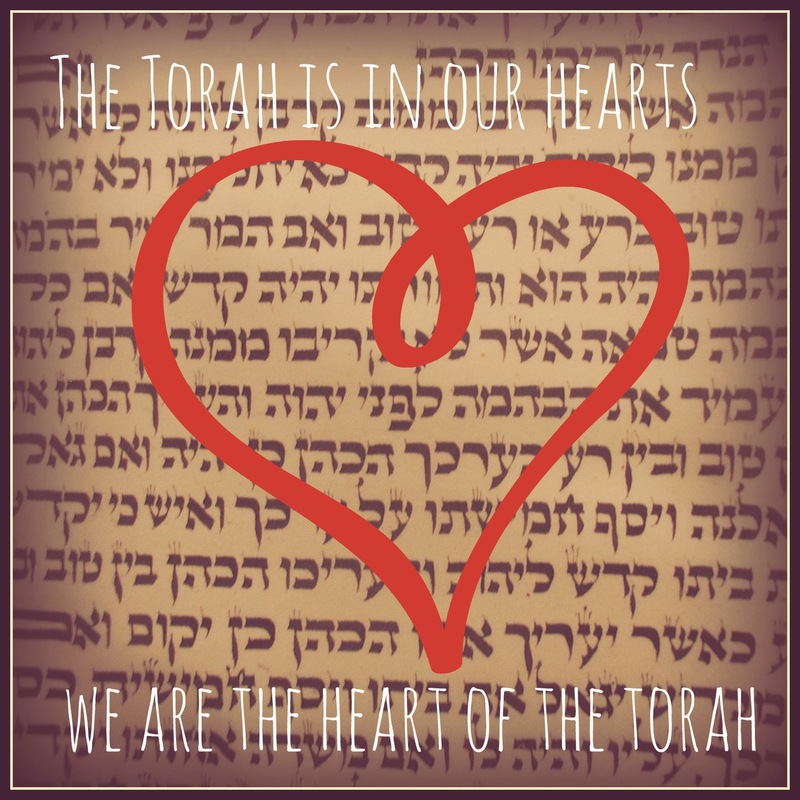 The Torah is in our hearts, and we are the heart of the Torah. It's so hard to believe that this is the last #blogElul post....that a full month has gone by of preparation and readiness for the Holy Days of our year. With today's topic, "return," I return to my intention for the month...to use this space to prepare, in some way, for these Days of Awe...and I think that I have. Each night, I return to my computer and I sit down and I contemplate the topic for the next day (I usually work a day ahead! )...and I look deep inside and I consider what this word means to me today. Isn't that what the work of the holidays is? To challenge ourselves and to return to the core of our being? May this new year bring you all that you want, all that you need, all that you hope and wish and pray for...may blessings abound. L'shana tova u'metukah....a good and sweet year. I've heard the word my whole life. 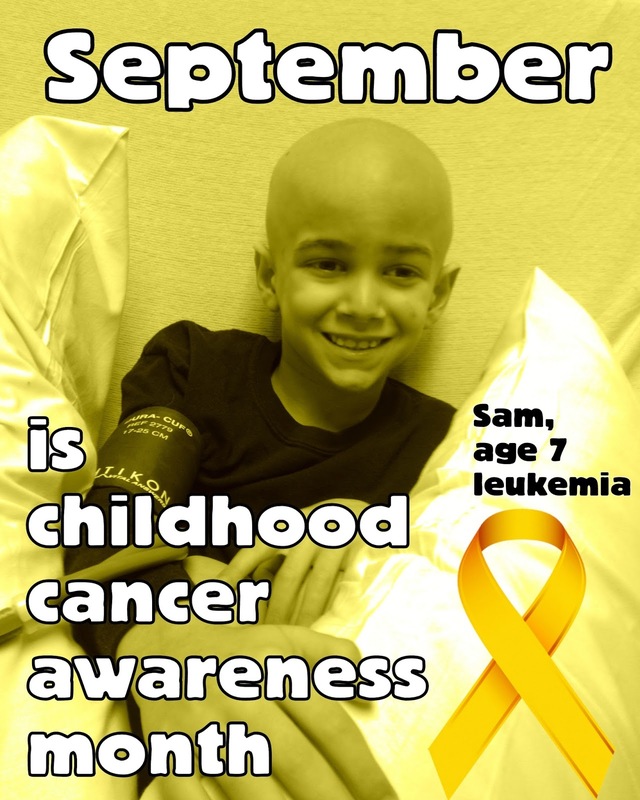 I've probably heard it eleventy-hundred-billion times more since Sam's first diagnosis. 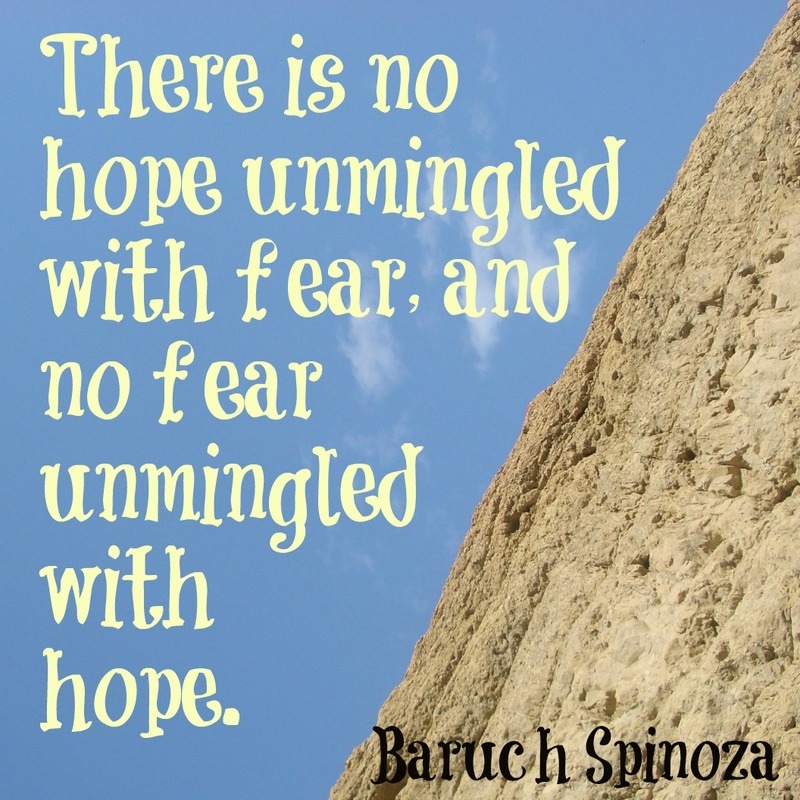 It can be incredibly powerful to hang onto hope...when you really don't have much else to go on. Or it can be nothing. A breath in the wind that floats away. I've gotten attached to the following phrase: "data-based hope." Our doctors have a lot of science on their side. A lot of experience and data. And then there's the unknown. The who-knows-what-will-happen and how it happens and why it happens and when it happens. As the month of Elul comes to a close in a few days, I'd like to use this opportunity to draw your attention to the secular month of September, which begins tomorrow. 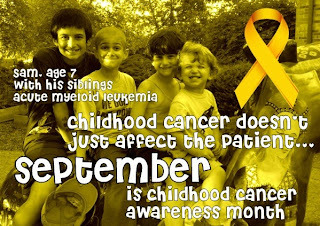 Last year, for the very first time, I learned that September is Childhood Cancer Awareness Month. Which meant, frankly, that I used to be very un-aware. Did you know that in the US alone, 36 kids are diagnosed daily with childhood cancer? 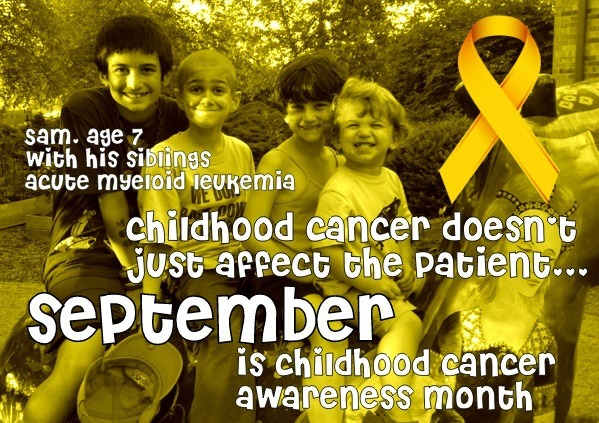 Did you know that in the US alone, 7 kids die each day from childhood cancer? Tomorrow begins a month of story-sharing, statistic-quoting, and gold-wearing. Maybe people will get so used to it that they won't stop. Here are some links to cancer posts, videos, etc, that are all designed to make you so crazy that you will stop at nothing to join in the fight against childhood cancer...and of course, you can always read about our journey at Sam's blog. All of these blogs are hard to read. Be courageous and subscribe to one or all of them. Read the stories, feel the heartbreak. Get mad and do something....it's a good time to begin. Feel free to grab one of these and share it....share it....share it. How do people write memoirs? People keep suggesting that I write a book about our experiences. I keep telling them that I can't write the book until I know how the story ends. I can be very goal-oriented. It took me a long time to understand that sometimes it's just about the process. The wise Brene Brown said that if we OWN the story, we get to write the ending. But what about stories that are being written for us? What about the endings that are unclear...blurry...far away? The year has a definite end. As Rosh HaShanah comes in, we know that the book is closed on the year. No way to re-open it and rewrite it. We lived it, we move forward. 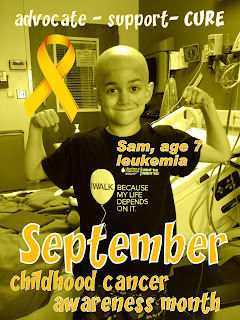 If you haven't read about Sam's love-at-first-sight meeting with his new cells, check it out here. When I create the BlogElul prompts, I brainstorm a list and then tweak it a little, adjust the order, make sure it all seems to "work" and then send it out into the world. This year, I clearly didn't proofread well, since I ended up with two identical prompts: change. I caught it right away (well, not before I had sent it out into the world) and when I asked what people thought and the consensus was to just leave it. After all, "change" is a pretty big theme of the High Holy Days. 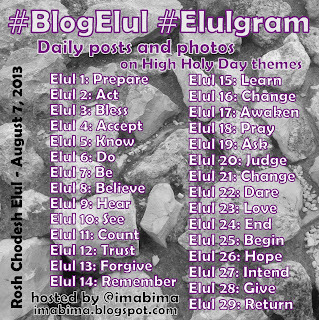 When I created the prompts, I had no idea what the 21st day of Elul would be. Change? Today is about as big of a change as it can be. Today is the day that Sam receives his new cells. His start of his change of status...from Leukemia Patient to Bone Marrow Transplant Survivor. The change will be hard. He may suffer pain and discomfort. But there's no giving up. Blessed are You, our God, who gives us the capacity for change. Thank You, God, for this gift. When we talk about judgment with respect to the High Holy Days, we are usually talking about Divine Judgment. The Big Judge. God on High, judging us all, writing our names in the Book of Life or....the other Book. I can't write the words. I can't think the words. 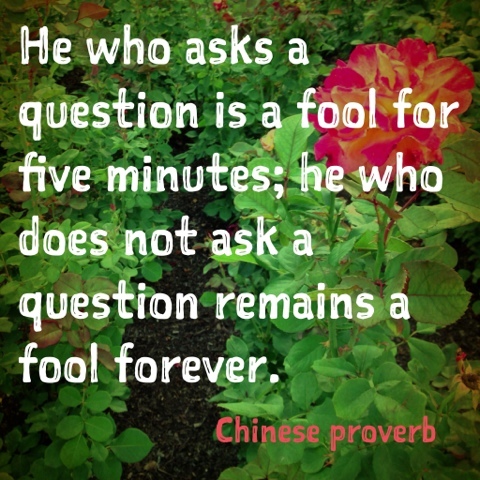 Asking questions is, in my opinion, one of my best skills. I always want to know more. Is it any surprise, then, that my children ask incessant questions? Sometimes, though, I just wish I hadn't passed on this particular trait. Each night, we say the words of Shema with our children. Even the youngest, at 2 years old, can say the words. Does he know what he is saying? No. But I teach him the words. So he can say them. So he can begin to make them a part of himself. Our tradition says that we should pray in whatever language is comfortable. I have always found Hebrew to bring me comfort. Since Sam got sick, we sing the Mi Sheberach prayer, as interpreted by Debbie Friedman, each night. It's in Hebrew and English. They all know the words. Do they know what they are saying? Because of those English words....yes. They do. I can't tell you how many conversations have popped up, unsolicited, at all hours of the day, with questions about the words. "What is 'lives a blessing'?" 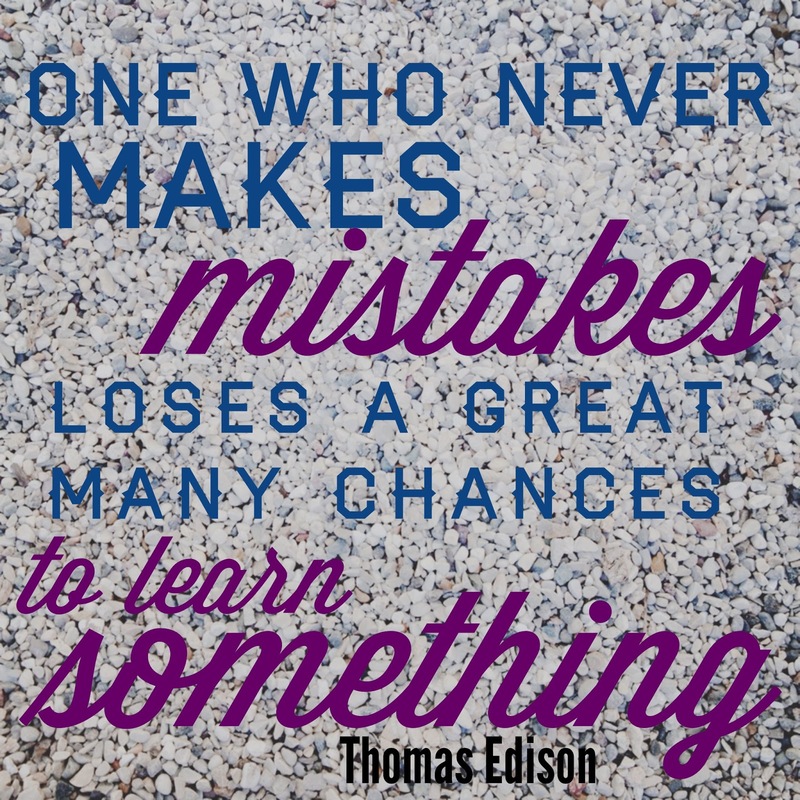 "Why do we need to learn 'wrong from right'?" "We have shelter. Why do we ask for more?" The questions, the conversations, the discussions...these are the prayer. They learn the words, they sing and speak the words. But they feel them, they breathe them, they live them. They make them a part of themselves. May the words of my mouth, and the meditations of my heart, be acceptable to You, O God. When you're in the hospital, they try so hard not to wake you up. But they have to do it, they have to check those all-important vital signs. I think a lot about those who work the night shift. Not just our nurses, whose wakeful presence gives me such comfort. The "night watch" goes against the grain, doesn't it? Our bodies yearn to sleep in the night and be awake in the day. Yet those who are willing and able to do their work in the dark of night...they keep us safe, they give us comfort, they help us all to sleep just a little better. I think a lot about those who are up when we are down. Those who keep themselves awake so the rest of us can sleep. For their wakefulness, I am grateful. It's hard for me, it's hard for my kids. I remember when I first learned some parenting techniques, way back in the early days of my first baby...I remember that there was so much about the importance of "transitions." Transitions are hard for the kids and hey, they're hard for the adults! Judaism is so very good at providing ritual for smoothing over traditions. Look at Elul! It's a whole month to get us ready for a new year. But it's not just that. Our rituals for birth and life and death all take into account the normal human inclination to resist change. I'm so very grateful for these transition rituals, which guide my life and help me to find blessing even in moments that seem stressful and ordinary. P.S. in honor of "change," I've changed the header on my blog! One of my favorite things to learn about was the intercalation of the Hebrew calendar. I'm not sure why this bit of education interests me so much, but I vividly remember when I actually learned how and why the Hebrew months are the way they are, why we have leap months, how the whole thing plays out. And I remember finally understanding the phases of the moon, which I also learned in fifth grade science, and I remember how it changed the way that I view time. 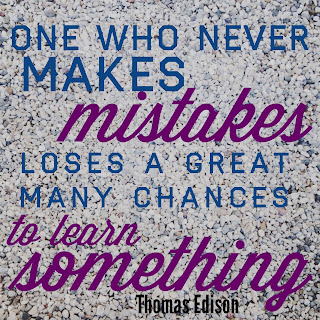 As I looked up at the moon and saw its fullness, I was reminded of this learning. A few weeks ago, this video was released by IKAR, a really fabulous organization in Los Angeles. I love videos like this because they get people thinking and talking and musing and wondering. So instead of writing about "forgive" I'm going to send you over to her blog to read her words. 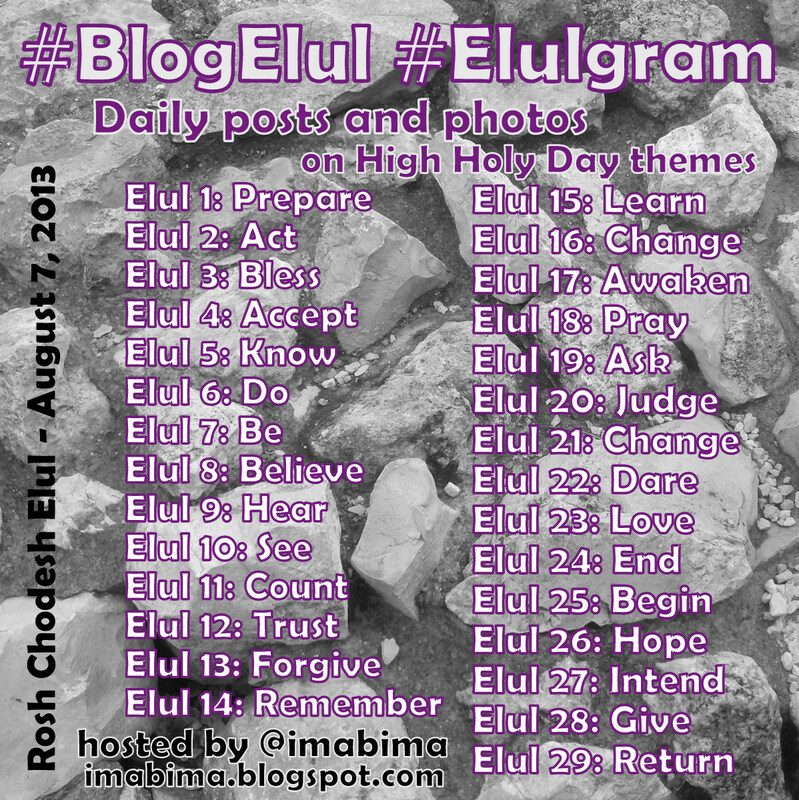 It is traditional throughout the Hebrew month of Elul to recite Psalm 27 daily. God is my light and my salvation; whom should I fear? God is the stronghold of my life; of whom should I be afraid? though war arise against me, still would I be confident. The army that rises against me is the army within my child. I am filled with fear, I am filled with mistrust. But I am confident that I will find a path. I am confident in the strength of faith and family, of love and prayer and hope. to behold the beauty of God and to frequent God's temple. One thing, O God. Just one little thing. I'm just asking for the world. God will hide me in God's own pavilion on an evil day, conceal me in the hiding places of God's own tent, and raise me high upon a rock. Give me a place of shelter, a safe space to rant and rave and scream and cry. Give me a place of hope to shelter my aching heart. Give me a place that I can trust, a place where I will know that goodness will be done. Now is my head raised above my enemies round about me; I sacrifice in God's tent with shouts of joy; I sing and chant hymns to God. Hear, O God, my voice; I call: have mercy on me, and answer me. On Your behalf my heart says: “Seek my face!” Your face, O God, I seek. Remind me of my blessings. Remind me of those who are with me each and every day, no matter how far away. Remind me of my community and my support. Remind me to turn to You. Do not abandon me, do not forsake me, O God of my salvation. Though my father and mother forsake me, God will take me in. Show me, O God, Your way, and lead me on a level path because of my watchful adversaries. There are so many possible paths. There are so many ways I can get lost. Help me to stay on the path, to stay the course, to be strong and full of courage. Help me to trust, to keep faith in those who lead and guide and help this path. Help me to continue to trust that God will continue to watch over and protect my family. Were I not to believe that I would see God’s goodness in the land of the living…. Hope in God; be strong and of good courage! O hope in God! Hope is light and airy, it buoys us up and strengthens our steps. Hope keeps the trust strong, it keeps the faith alive. 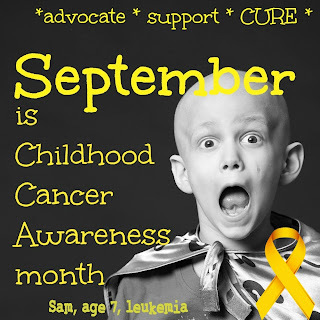 To know, to feel, to believe, to trust in that hope...that is our challenge. When I saw that the topic for day 11 was "count," I knew I had written a post about this topic before. In fact, I've written a couple. One about how Jews like to count. And we do, we really really like it. Then I remembered another post, which I wrote during this year's Omer period. I talked about the different type of counting in which my family is engaged, the counting of white blood cells and neutrophils and ounces of water and days in the hospital. 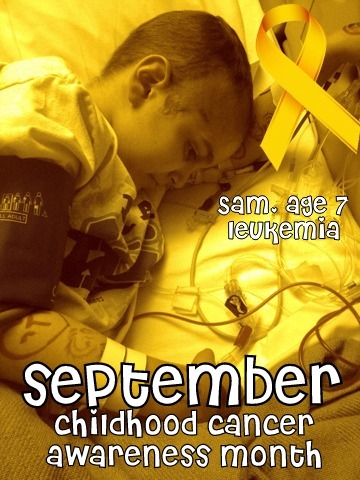 Tomorrow begins Sam's bone marrow transplant process. Tomorrow we start a whole new kind of counting. 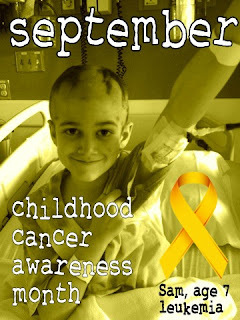 Days until transplant. Days post-transplant. Those numbers will again consume and become our whole lives. Platelet and hemoglobin counts. And new numbers, ones that we've never seen before. Kidney levels, cyclosporine levels, and chimerism numbers. Plus about a billion more numbers...that we have to count. As a mom of four kids, I'm always counting heads and making sure that I've got everyone. As Sam prepares to go into the hospital, I'm going to be counting heads in a different way. One-two-three...and Sam in the hospital. I am filled with fear that someday my counting will change. I know parents who are counting so very differently...but I try not to think about it. I try not to imagine what it's like to count a different way, a different number, I try not to imagine the pain of that accounting. It's Elul. It's the time to think big and deep and scary thoughts. Instead, I'm hoping to be distracted by the numbers. I'm hoping that the actions of counting will consume my time and my mind and let me sink into the depths of the details. 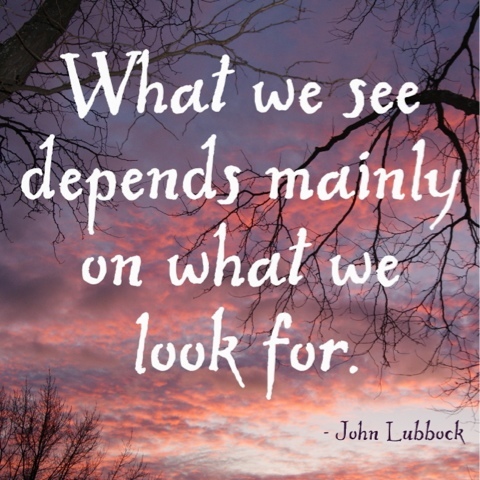 I'm hoping that the small actions and details will help us to get where we need to go -- with our mind on the goal, a bright and light-filled future. I really want to write a post about seeing and photographing. Does it change an event when we take pictures of it? Do we remember it more if we have to SEE every moment or if we know we will have photos to remind us? Or do we see more because we are looking for the perfect shot to capture it -- does this quest for the details help us to see more? I will write that post someday but today I just leave the questions here.